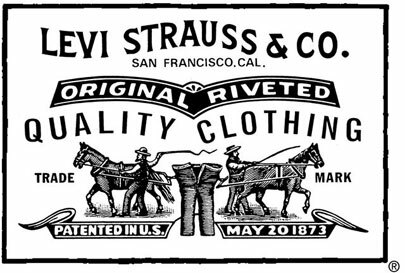 When I interviewed Rebecca Burgess about “The 100-Mile Wardrobe” for my local newspaper column, she mentioned in passing that the most daunting challenge of making one’s own clothing from scratch, “the Holy Grail” of slow clothing, would be to spin, weave and sew a pair of blue jeans. It’s not strictly speaking impossible, but it’s an extremely formidable task. Let’s identify the different parts of the challenge. 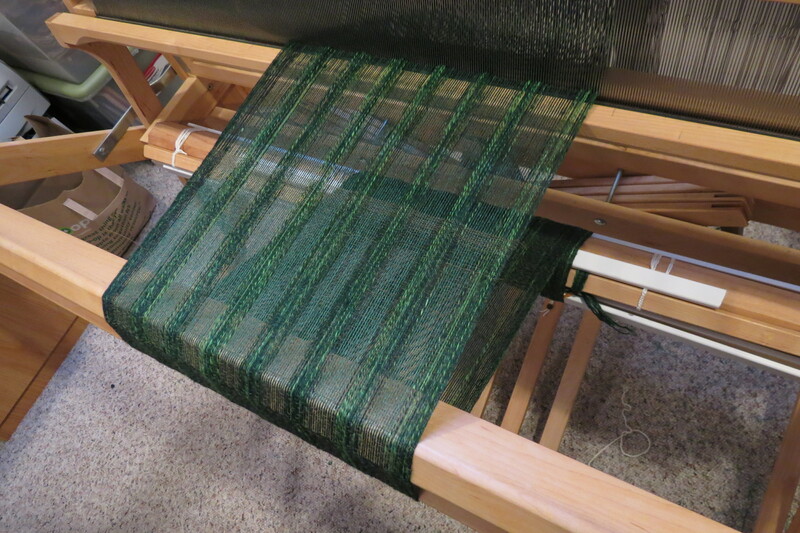 Weaving twill is not difficult at all, but it’s a question of scale. For wearable denim you would need to use very fine threads and weave them quite densely; I’m guessing somewhere between 20-36 threads per inch, if not more (I haven’t yet had the courage to count them with a magnifying glass). 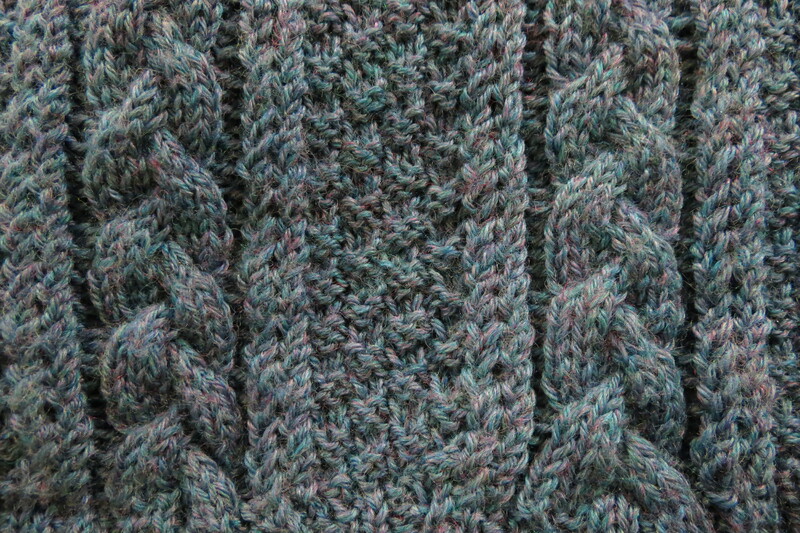 In order to count as classic denim, the warp must be indigo-dyed blue thread and the weft must be white thread. That’s why your blue jeans always fray white if you cut into them, and why they’re a different color on the inside than the outside. Dyeing with indigo is somewhat complex but it’s nothing that a careful person could not accomplish. The real killer is spinning the cotton thread. 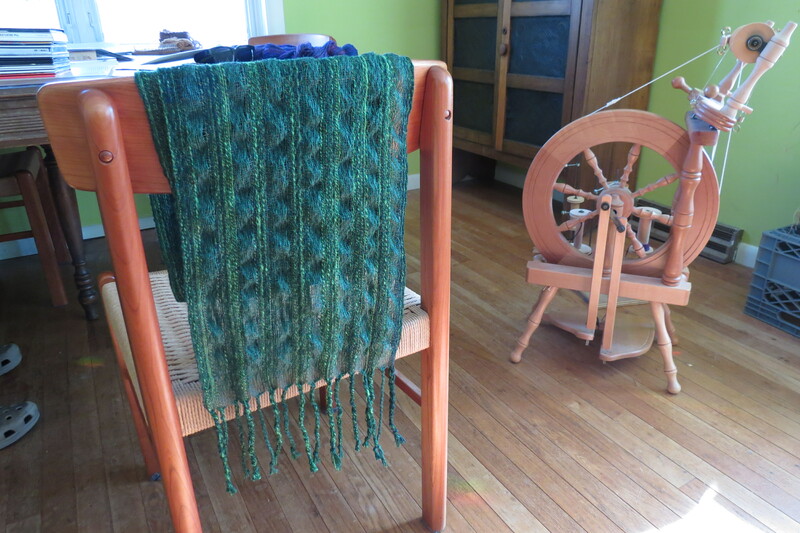 I’ve been experimenting with cotton ever since this past spring and now have months of practice behind me, but I feel as though I am only now beginning to understand the innate challenge of the medium. Cotton is really a beast to work with. It’s very difficult to spin on a wheel, unless you happen to have one of those ultra-high-ratio wheels like the Indian charkha, or a rare Colonial-era Great Wheel. If you lack a high-ratio spinner, then you must use a spindle and spin by hand. And after you master the simple spinning of cotton, you will need to figure out how far to OVERSPIN it so that it won’t come apart when you ply it in the opposite direction. But filling a couple of spindles with overspun, highly-energized singles is not the end of your headache, because you need to figure out a means of plying that won’t end in a tangled, hopeless mess of energized singles wrapping around each other, ruining everything. Dealing with cotton from the ground up is like striding into The Wild West with six-gun in hand, expecting to tame the bad guys without a fight. I honestly have no idea at this point whether I’ll be able to achieve this most difficult of all weaving goals and make my own jeans from scratch. But I’m going to give it my best try, and I’ll be glad to share my experiences. 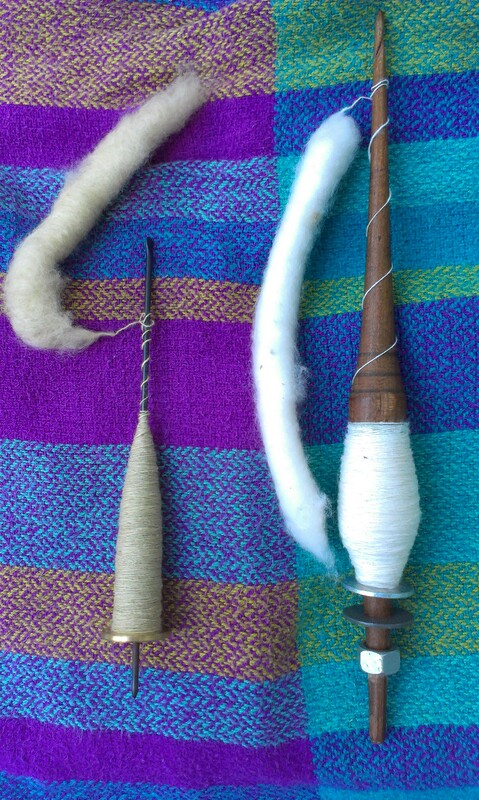 Ongoing experiments in cotton thread: natural green on the left, using a brass Indian takhli, and on the right, commercial white cotton using my antique French hand spindle from eBay, equipped with weights at the bottom for faster support-spinning.